To carry over the progress from the UWP version to a different one, copy the biggest file without extension and rename it to RuinerSaveSlot.sav. 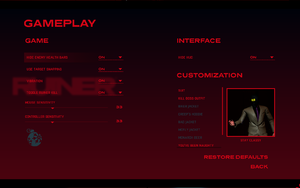 Higher resolutions may appear offscreen due to a lack of scrolling in the menu. 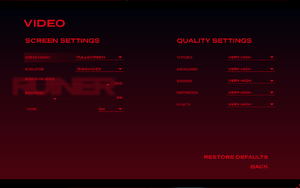 TAA always enabled with adjustable quality. 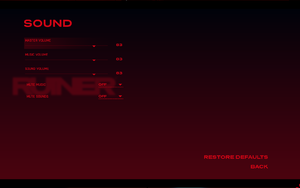 See Anti-aliasing (AA). Add the following to the file and change the variable to 1 for FXAA and 0 to disable Anti-aliasing. 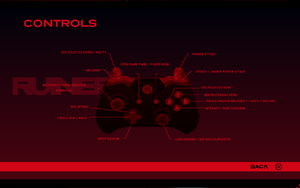 Moving with controller and aiming with mouse causes input issues. Steam users can change the language via the game properties. Add the following and change the variable to a supported ISO 639-1 code (e.g. en for English, de for German). 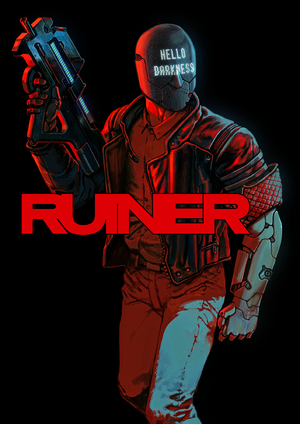 ↑ Steam Community :: Group Announcements :: RUINER - The final version of RUINER for Linux is here! This page was last edited on 30 March 2019, at 03:20.